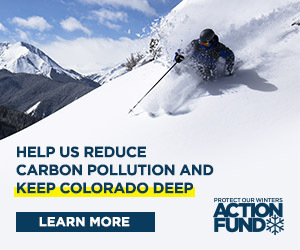 That deal now triggers several next steps outlined in a memorandum of understanding (MOU) between the new mine owner, the town of Crested Butte, Gunnison County and several state agencies including the Colorado Department of Public Health and the Environment (CDPHE), its Water Quality Control Division (WQCD) and Air Pollution Control Division (APCD), the Colorado Department of Natural Resources (DNR) and its Division of Reclamation Mining and Safety (DRMS). 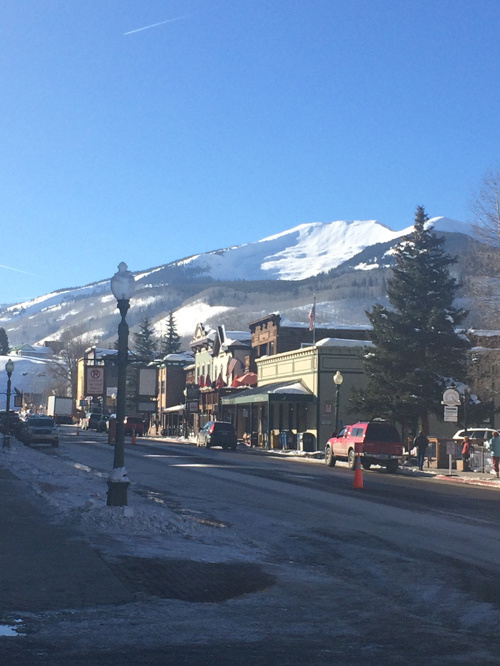 The Crested Butte Town Council will look at and consider entering into the MOU on Friday, February 26 at a special meeting that starts at 6 p.m. The county commissioners will do the same on Tuesday, March 1. County attorney David Baumgarten said given the sometimes nasty history of the mine issue, a collaborative effort beginning to blossom is refreshing. “It is a big step, especially in perspective of where we have been the last 39 years or even the last couple of years. The coordination now with the owner of the mine, the state, the county and town is significant,” Baumgarten said. And groups like the Red Lady Coalition (RLC) and High Country Conservation Advocates (HCCA) are ready to help in the detail work. “HCCA is highly encouraged by Freeport/MEMC’s commitment, along with the town, county, and state and federal agencies, to eliminating all rights to mine,” said Alli Melton, HCCA’s Red Lady program director. The proposed MOU outlines a path to eventually secure long-term operation of the water treatment plant as well as to possibly eliminate the idea of molybdenum mining in that location. “The government parties will assist Mt. Emmons [Mining Company] in identifying and supporting cost-effective solutions at the site to ensure ongoing protection of public health, safety, welfare and the environment, in exchange for the other considerations given in this MOU,” the document states. • Pursue disposition of the mining and mill site claims and fee simple lands in a mutually beneficial way. • Find and implement technical solutions to the environmental issues at the site. • Discuss implementing technical solutions to environmental issues at the site, including long-term funding options therefor. • Collaboratively work to develop site-specific water quality standards for Coal Creek that may include monthly technical meetings with interested stakeholders. • Continue the current administrative extension of the CDPS discharge and storm water permits until after a final decision is issued by the WQCC in the June 2017 Gunnison Basin rulemaking proceeding. • Work with the federal legislative delegation on any mutually acceptable legislation required to implement long-term solutions. The MOU states that the Mt. Emmons Mining Company has agreed “as a goodwill measure” to voluntarily put two years’ worth of operating costs for the water treatment plant into an escrow fund. That amounts to about $1 million per year. Monthly invoices will be paid from the escrow account or other equivalent. Belkin and Green said the town and county began negotiating the MOU last fall. But the groundwork was set up with the state a couple of years ago when U.S. Energy applied to the state for a VCUP (Voluntary Clean Up Program) to clean up the old Keystone Mine on Mt. Emmons. Green said the conversations with the mining company have been good and it seems apparent they want to address the big issues with the mine. Belkin said the MOU outlines general goals for the parties that, if everybody puts their heads down, could be accomplished in the next several years—although Belkin admits that the final disposition of the unpatented mining and mill site claims will take longer since they require the passage of federal legislation. For that, the parties have been working closely with Senator Michael Bennet’s office. Green said every indication is that everyone wants to roll up their sleeves and work on the solutions immediately. Both attorneys agreed it is obvious within the MOU that Mt. Emmons Mining Company intends to solve the disposition of the mining rights at the site. But only time will tell in terms of the execution of that goal. HCCA also sees some light at the end of the tunnel. “This marks the first time since the threat of a molybdenum mine on Red Lady arose in the 1970s that the owner of all the mine properties on Red Lady says it intends to dispose of all of its interests on the mountain with the goal of ending the threat of mining Red Lady,” said Melton. “HCCA urges town and county elected officials and staff to continue placing this community-supported goal as a top priority. HCCA will, as it has for almost 40 years, continue our tireless advocacy to protect Red Lady and see that this iconic mountain will be permanently protected from mining as soon as possible. We are looking forward to working with all the interested parties to achieve this result,” said Melton. “That includes the new owner, the state, the county and the town. Everyone has agreed to work together and that has not always been the case,” Ronai continued. Everyone involved is clear that there is a lot of heavy lifting to be done to complete the agreement. “The town and a lot of organizations have been working on this problem for more than 40 years,” said Michel. “There are so many people who have focused on this over the years. We happen to be sitting in the seats that will hopefully see this through to the end but there are hundreds of people who deserve a lot of credit for getting to this point.